Media Converter is a tool that help you convert any audio or video formats to other formats. When this add-on is activated a new Convert To icon will be available in Context Menu. In order to see the button, you have to select a file in that has an extension supported by Media Converter. 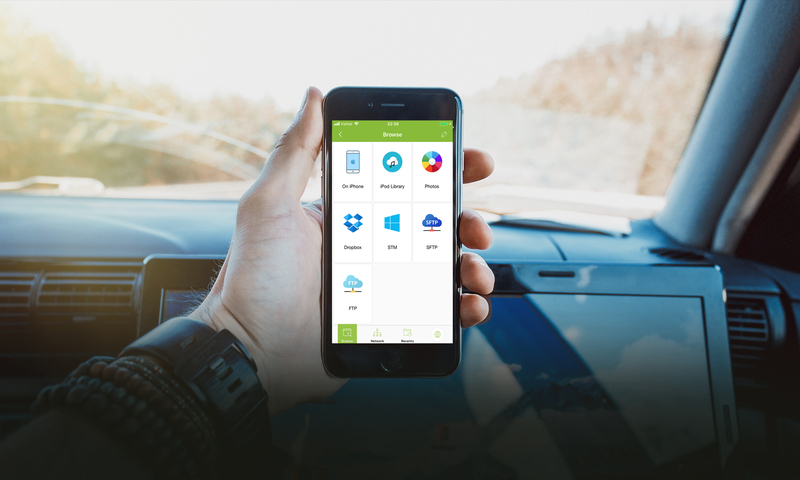 In Explorer screen, tap and hold the file for a few seconds a context menu will be shown, tap on Convert To to start converting (you can convert multiple files at once or you can even convert audio and video files directly in cloud services or remote servers). Select Output Format for the destination output format you want to convert to. On the left column you will see the filtering: All Formats, Video Formats and Audio Formats, those filtering affect the right column which shows all formats, video formats and audio formats correspondingly. 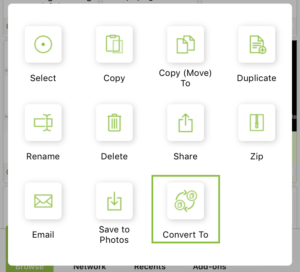 Tap on Settings icon on the top right screen of picture above to open Media Converter settings (you can even access the settings from Sharing screen). 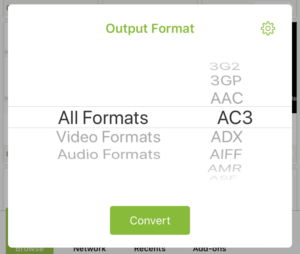 When you change these settings it affects the output of the converter. The Output Video Quality option specify the quality output of videos, the higher the value, the better the quality. The level is from 1 to 10, the highest level, the biggest size of output. 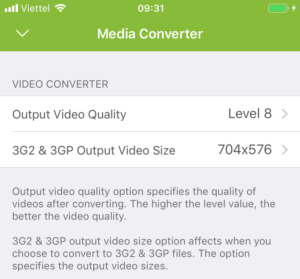 The 3G2 & 3GP Output Video Size option only affects when you convert videos to 3G2 and 3GP formats. They have standard sizes: 128×96, 176×144, 352×288, 704×576, 1408×1152.